You like the idea of gardening. Growing your own food. Seeing life sprout from the ground. But your thumb is not exactly green? Please read on, I want to share and encourage you. Please… if your initial thought was, “not me!”: know that you really can grow something, and give one or all of these a shot. I know that you will be happy with the outcome! My 4 favorites are not only easy to grow, but will give you a nice variety to add to your diet. I have to tell you; this is my kind of gardening. Really. I tell people all of the time that I don’t do anything that isn’t easy. That is no joke. We want our farm to be peaceful and as stress free as possible. Adding vegetation that needs a lot of babysitting is not going to survive here. I have found that there are several edibles that anyone can grow and they will survive and even thrive with little effort after you have planted them. No babysitting, special skills, greenhouses or green thumb needed. A perennial is a plant that once planted, grows for a season, dies back and then comes back again the next growing season. Most of my favorite, easy to grow edibles are perennials. You can purchase them as established plants and put them right in the ground or most of these you can actually get for free from a generous friend. That way, you not only have the satisfaction of growing something, but every time you look at that plant, you are reminded of your friend. Bonus! Who likes Rhubarb? Well anyone who likes strawberries and pie should like it! And, it’s good for you. “Rhubarb is packed with minerals, vitamins, organic compounds, and other nutrients that make it ideal for keeping our bodies healthy. 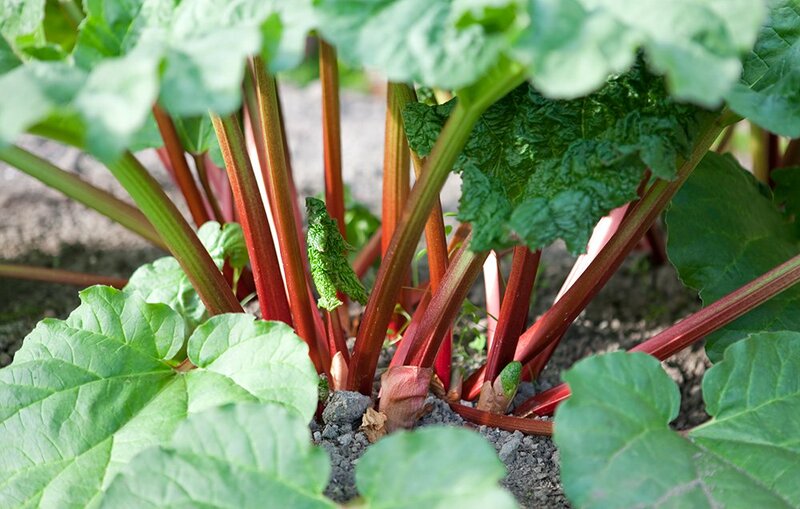 Some of these precious components are dietary fiber, protein, vitamin C, vitamin K, B complex vitamins, calcium, potassium, manganese, and magnesium – organicfacts.net .” Rhubarb in my opinion, is probably one of the best edible plants to start with. You literally, find a sunny spot with alkaline soil, which in Maine can be a challenge. But thankfully, many of us heat with wood in the winter and wood ash is great to add alkalinity to the soil. Your Rhubarb will love it! Rhubarb grows in the spring and is ready at the same time or just before strawberry season in Maine. It is a perfect combination with field fresh strawberries for both pies and jam. Creation just has a way of timing these things! Rhubarb has a relatively short lived season, but you can harvest and freeze the stalks to use all year long. The plant also multiplies which is an advantage for the one with a brown thumb. Start with one or two plants and after a few years you can split them up and have five or six plants! Who couldn’t use a little more Thyme in their day? Silly farm girl! Thyme is an perennial herb that not only has so many culinary uses, but is a dainty little flowering plant that will brighten up any spot or container. But don’t let Thyme’s delicate look fool you. In my experience, this plant almost enjoys the abilities of a brown thumb. Again, you pick a sunny location, either in the ground or in a pot, plant it, water it well for a week or two and then just leave it alone! In a pot, you will have to water it as it will dry out. But trust me when I say, this herb can take the abuse of drought and be just fine. 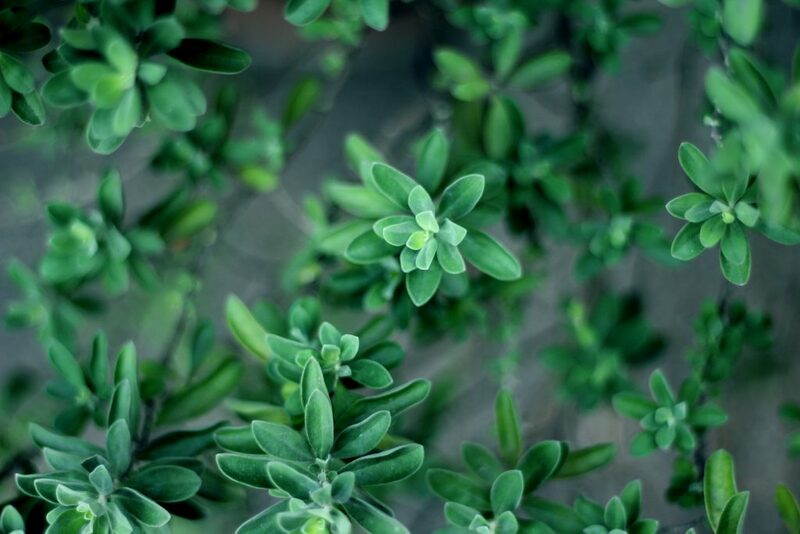 Thyme has been known to: “Reduce stress, reduce respiratory issues, improve heart health, boost the immune system, protect against chronic diseases, stimulate blood flow and prevent fungal infections”- organicfacts.net . So go ahead and plant some this year. You will add beauty to your life, fresh herbs to your diet and a smile on your face. Successful gardening is in your future! A plant that’s life cycle is one year. It grows and then dies. I know…sad. But don’t worry. Annuals have been created to reproduce and will have a seed that can be saved to plant again the next year. Probably my absolute favorite thing to plant and harvest. Also, it is one edible that does not cost much to grow and is so good for you. 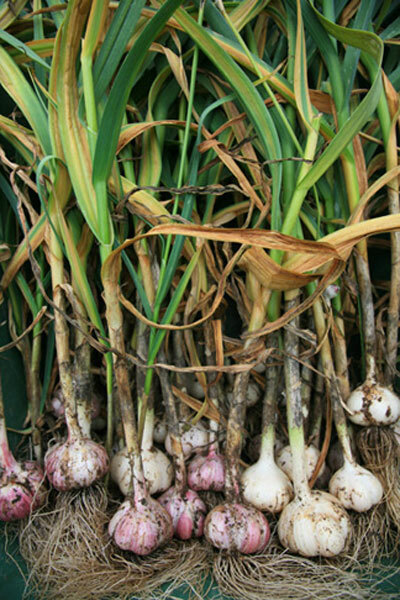 Garlic has been shown to: “Boost Digestion, Control Diabetes, Lower Cholesterol, Reduce Hypertension, Relieve Ear Aches, Treat Intestinal Problems, Treat Colds & Wounds” and so much more – organicfacts.net. Again, simple, simple. In the fall, you dig down about 3 inches in a nice sunny garden area. Plop a clove of garlic in, pointy side up. This is really the only step you can mess up. Plant it pointy side down and you are growing garlic that in about 100 years will reach the other side of the world. I know..I know…That really wouldn’t happen. It would take much longer than that! Back to the garlic…. You plant in the fall, or if you are rebellious like me you try it in the spring. It worked just fine! But all of the experts tell you, plant in the fall. And then in the spring; up shoots these amazingly beautiful spirals of green that you can eat either fresh or cooked called “scapes”. They are delicious and just an added bonus that comes from the garlic. When fall rolls around, you dig up the bulbs, shake off the dirt and hang them to dry. Don’t forget to save a few to replant for next year! I love them! No…not to eat. As a morale booster. If you truly are challenged in the gardening department, plant radishes even if you don’t like to eat them. Honestly, you need to grow radishes. You can do this! Drop some seeds in a line on top of the soil or shake some around randomly in a patch of soil in the sun. Sprinkle a light layer of soil, really light, on top. Water gently and within a week you will see life springing from the ground. It will give you the boost of encouragement you may need and within 4 weeks you will have some bitey little nuggets to eat straight out of the garden or put on a salad. Equally, they are good cooked and you can find many recipes on line. 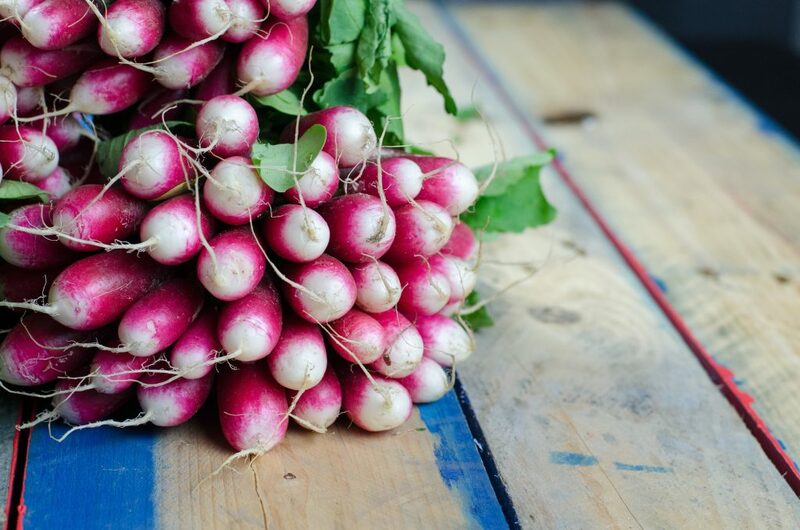 Keep planting radishes every two weeks or so for a continuous morale booster and healthy snack. The bottom line. These 4 Edibles That Anyone Can Grow will not only give you a variety of healthy food, but will give you that boost to move forward the next time with even more confidence. Pretty soon, you are going to have a green thumb too! I have faith in you! « 3 Meals You Can Make with 1 Chicken – Homemade Chicken Soup – including the stock!